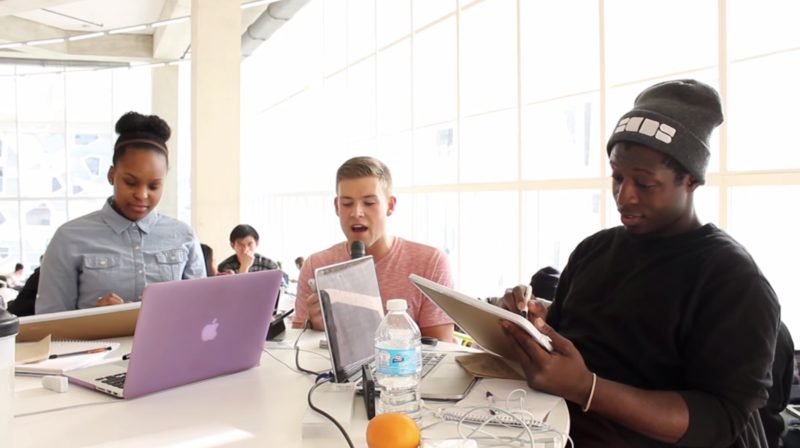 Cole set out to the new Ryerson Student Learning Centre to ask students some pop quiz trivia about alcohol and substance addiction. #14DaysDry aims to increase awareness about addiction and generate support for those struggling with dependence or addiction to alcohol and substances. 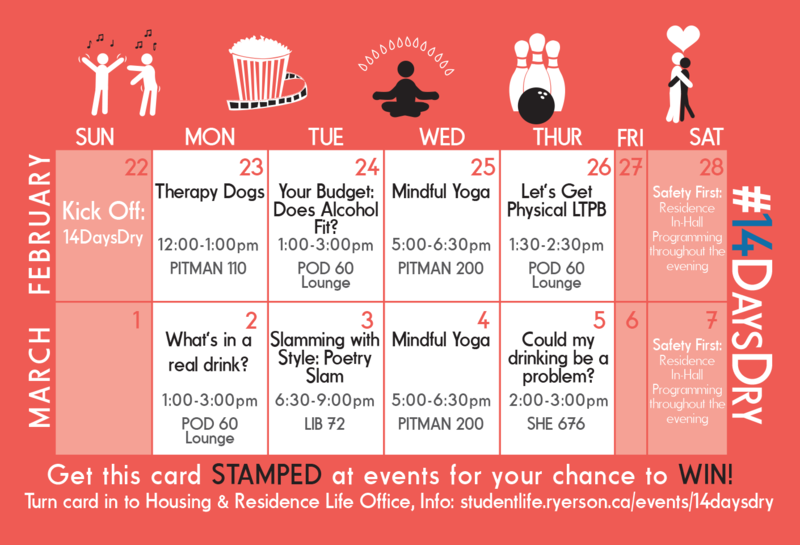 For 14 days this February, Ryerson Student Affairs is challenging you to think about your substance consumption, and are hosting a series of events and activities across campus. We challenge you to ditch alcohol and any non-medically necessary drugs for two weeks. Becoming more conscious of our own habits will allow us to develop more compassion for those struggling with addiction. So, how can you get involved in #14DaysDry? From February 23rd to March 7 there will be various activities and chances to participate and win prizes. To win, you must drop by any three programs and get your participation card stamped. Prizes include Loblaw’s gift cards, taxi chits, KIND products, VIA Rail gift cards and Ryerson swag! Attend 3 events and drop off your card at the Housing & Residence Life Office in Pitman Residence or AskMeRU desk in POD 60! Previous ArticleRU Stylish? Project Spotlight on RU Street StyleNext ArticleProject Spotlight: RUTV’s The Scoop!